In an earlier post I mentioned that there will be three different types of spectrum that would be needed for 5G; coverage layer, capacity layer and high throughput layer. There is now a consensus within the industry for this approach. In a 5G seminar, back in Jan, there were a few speakers who felt that there is an informal agreement about the frequencies that will be used. One such slide from Ofcom could be seen in the picture above. Ofcom has also recently released a report expanding on this further. 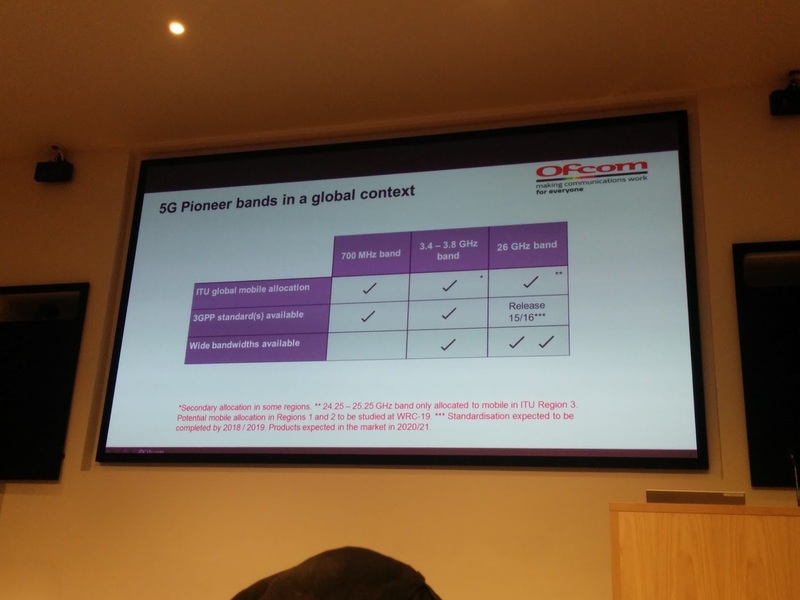 Analysys Mason has nicely summarized the bands suggested by Ofcom and possibly available in the UK for 5G in the picture above. 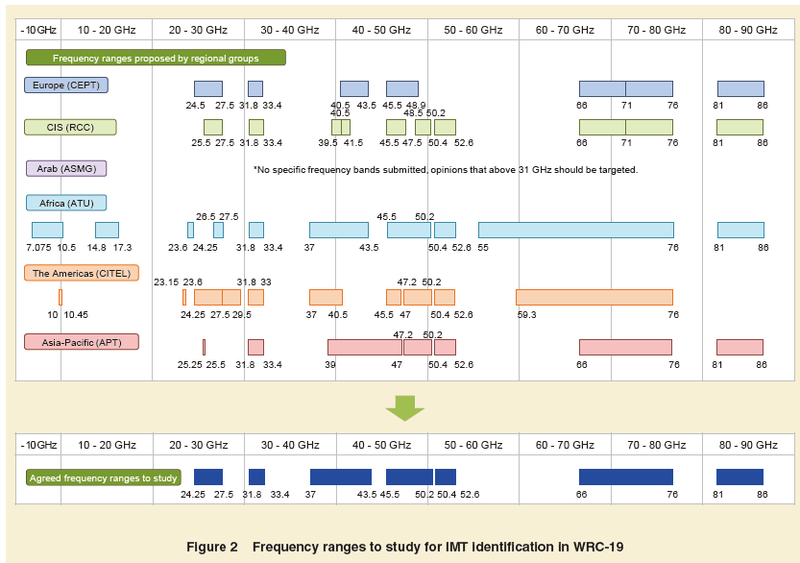 Another potential band, not being mentioned above is the 66-76GHz spectrum. 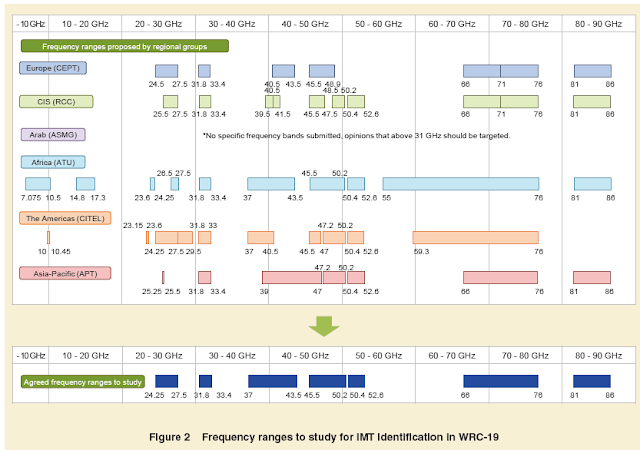 This band is adjacent to the 60 GHz Wi-Fi (57 GHz - 66 GHz). 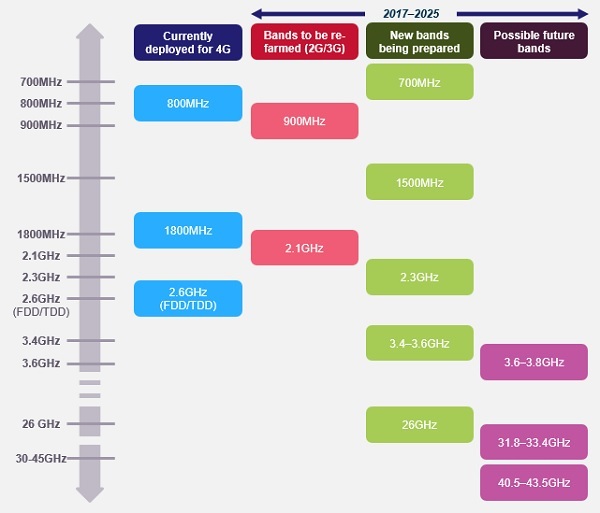 Lessons learned from that band can be applied to the 5G band too. 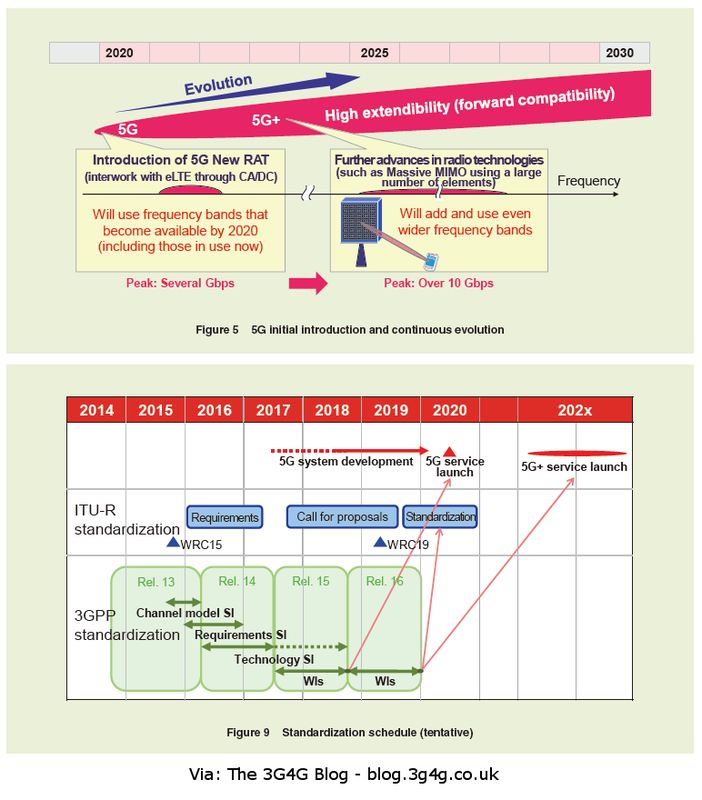 NTT Docomo's recent technical journal has quite a few interesting 5G articles. While it is well known that 5G will be present in Japan in some or the other shape by 2020, for the summer Olympics, NTT Docomo started studying technologies for 5G in 2010. Some of these have probably ended in 4.5G, a.k.a. LTE-Advanced Pro. 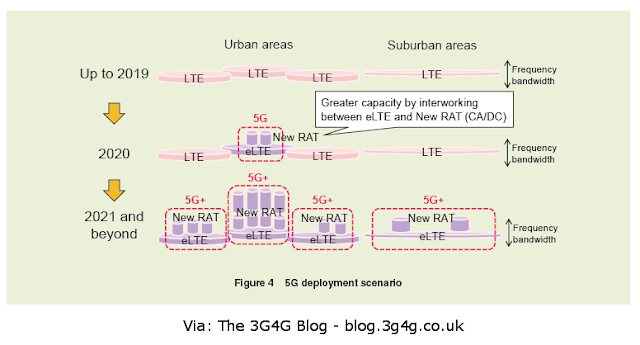 As far as 5G timetable is concerned, I recently posted a blog post on this topic here. 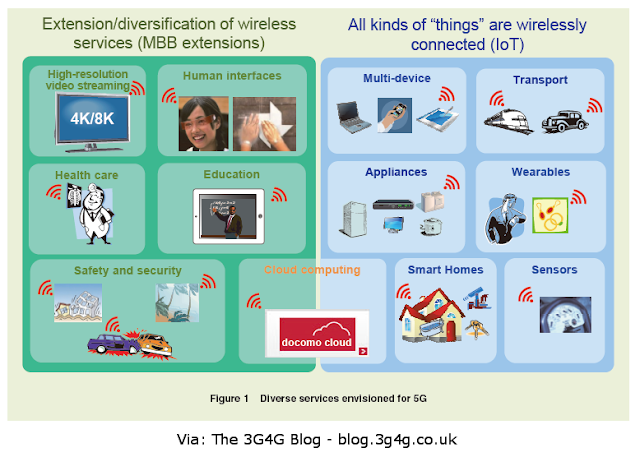 Initial versions of 5G will have either little or no millimetre wave (mmWave) bands. This is because most of these would be finalised in 2019 after WRC-19 has concluded. It may be a touch challenge to move all the existing incumbents out of these bands or agree of a proper sharing mechanism. 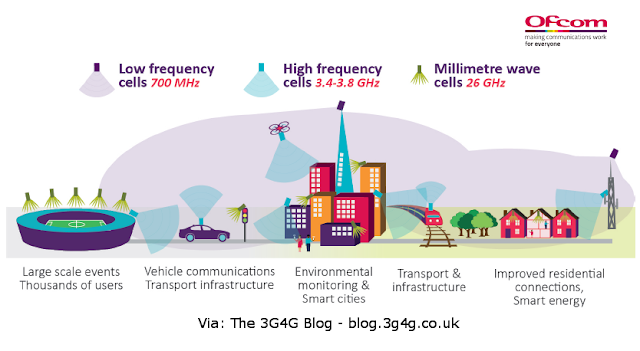 '5G+' or '5G phase 3' will make extensive use of these higher frequency bands extensively in addition to the low and mid frequency bands. 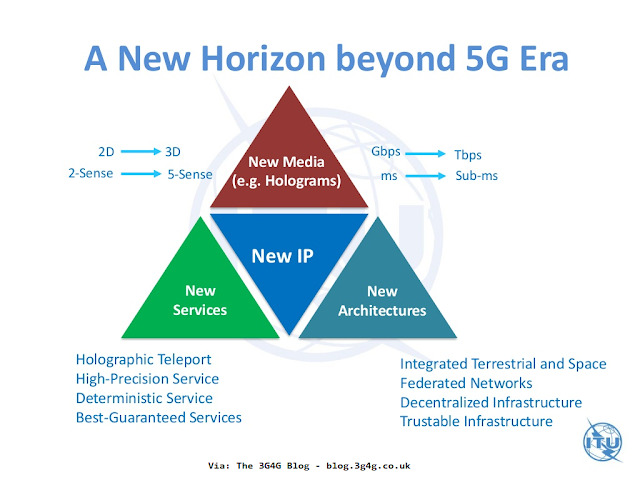 For anyone not familiar with different 5G phases, please see this earlier post here. 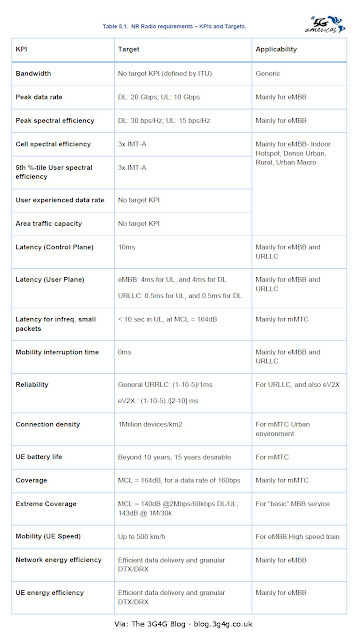 Enhanced LTE (or eLTE) is probably the same as LTE-Advanced Pro. Docomo believes that the initial 5G deployment would include new RAT but existing 4G core network which would be enhanced later for 5G+. 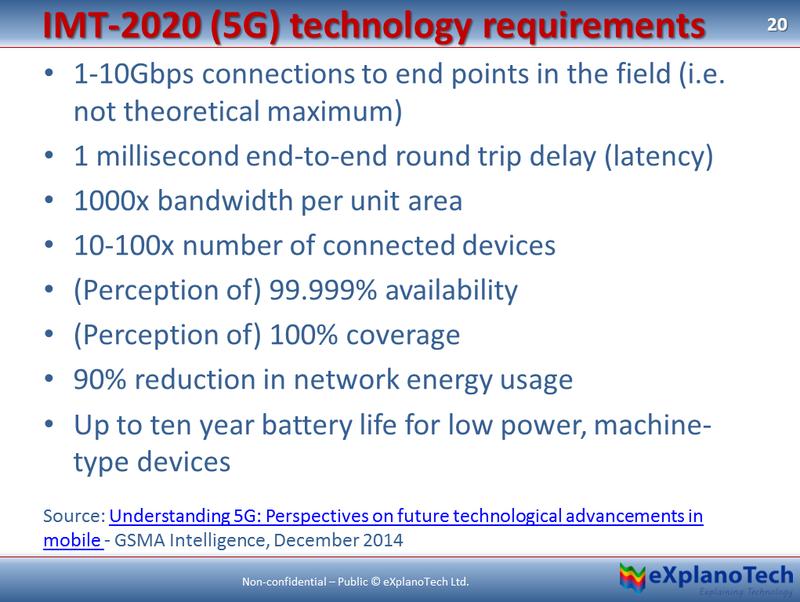 Some of this new RAT technologies are discussed as well. 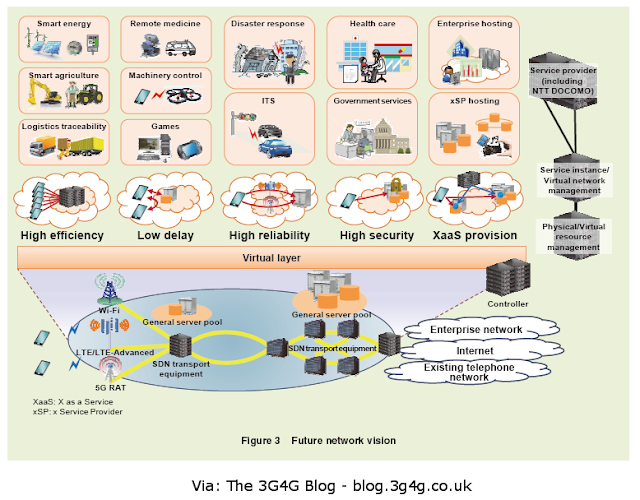 The vision for future networks is shown in Figure 3. 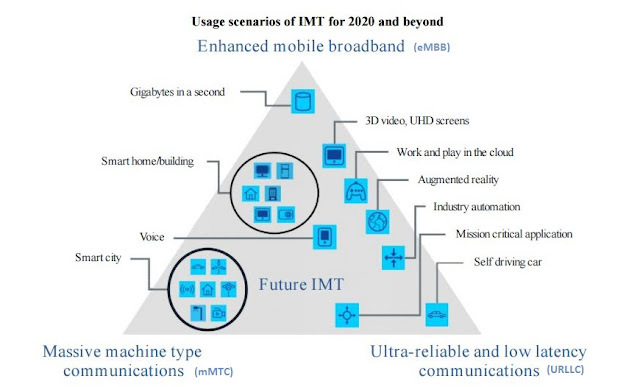 A future network will incorporate multiple radio technologies including LTE/LTE-Advanced, 5G New Radio Access Technology (RAT), and Wi-Fi, and be able to use them according to the characteristics of each service. Utilizing virtualization technologies, network slices optimized for service requirements such as high efficiency or low delay can be created. Common physical devices such as general-purpose servers and Software Defined Network (SDN) transport switches will be used, and these networks will be provided to service providers. Network slices can be used either on a one service per network basis to increase network independence for originality or security, or with multiple services on one slice to increase statistical multiplexing gain and provide services more economically. 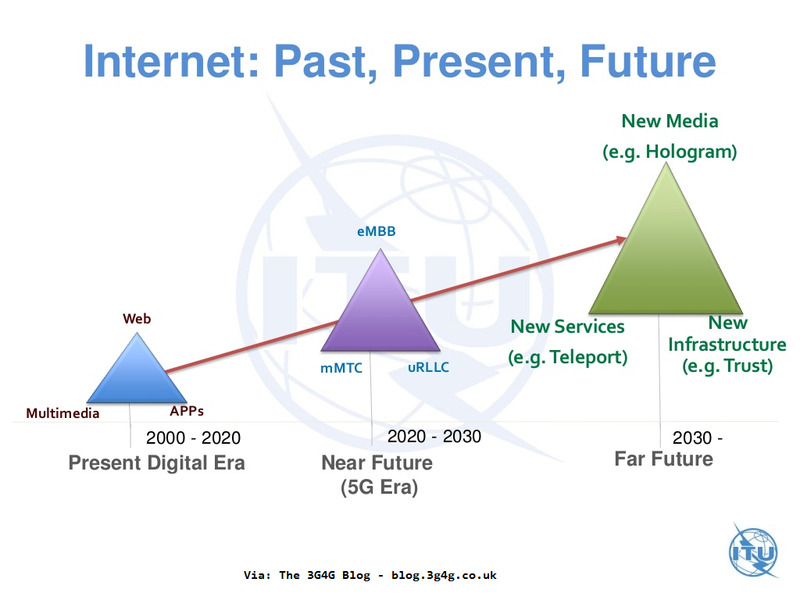 The specific functional architecture and the network topology for each network slice are issues to be studied in the future, but in the case of a network slice accommodating low latency services, for example, GateWay (GW) functions would need to be relatively close to radio access, service processing would be close to terminals, and routing control capable of finding the shortest route between terminals would be necessary to reduce latency. 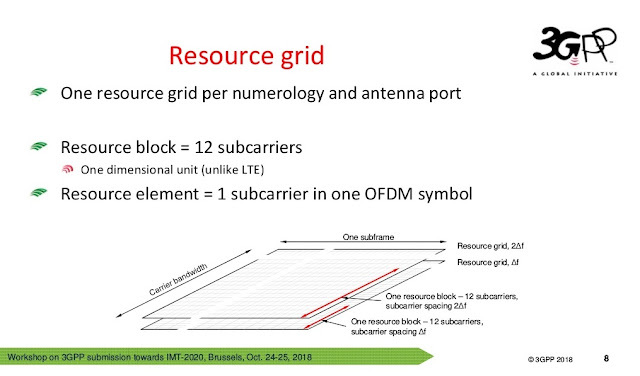 On the other hand, a network slice providing low volume communications to large numbers of terminals, such as with smart meters, would need functionality able to transmit that sort of data efficiently, and such terminals are fixed, so the mobility function can be omitted. In this way, by providing network slices optimized according to the requirements of each service, requirements can be satisfied while still reducing operating costs.